Pittsburgh PA: Brady Stewart sitting at his desk at B.W. 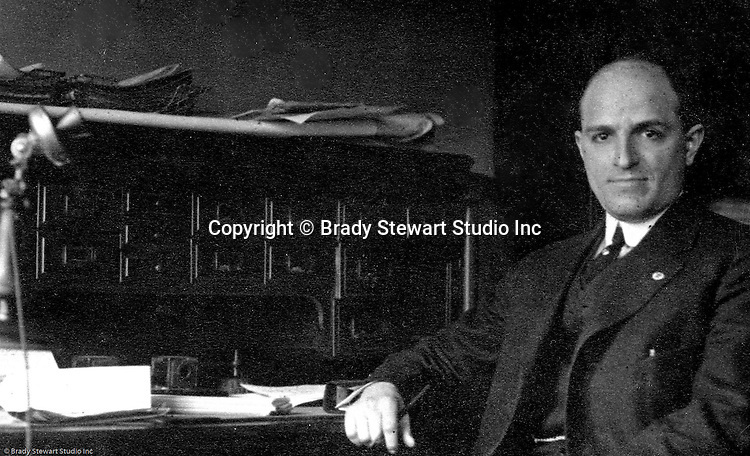 Stewart Studio - 1912. Brady Stewart started his photography business after returning from a stint of homesteading in Idaho with three friends from Pittsburgh. During this time, if you were the sole owner of a business, you used your first two initials and last name.